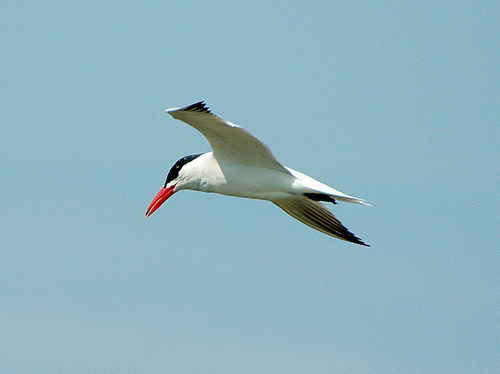 The Caspian Tern is the largest tern found in western Europe. It's a rare bird that passes by in early autumn, heading south. 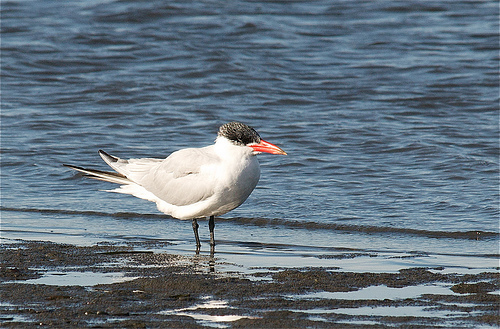 The Caspian Tern is about as large as a buzzard. The Caspian Tern is very large. It has a relatively short tail, the Common Tern has a long and forked tail.